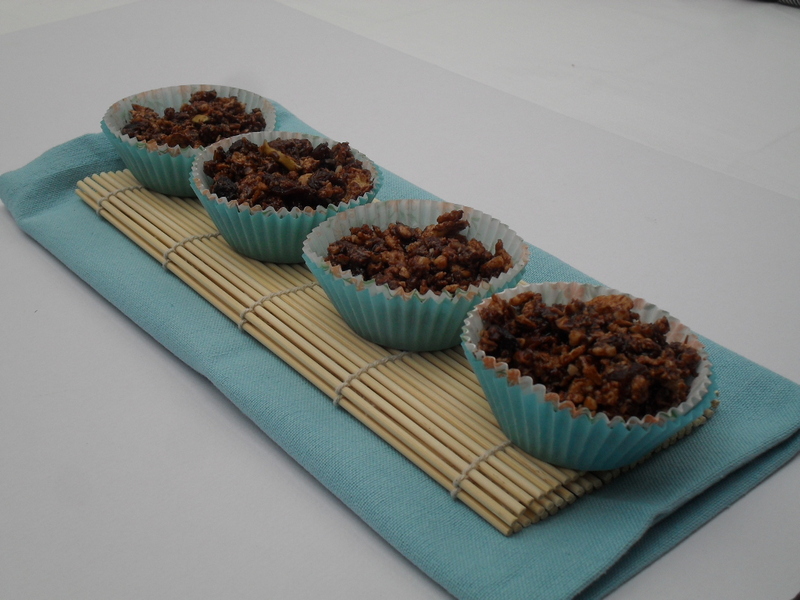 Crunchy cereal, dry fruits & coconut all coated in a golden syrup and scrumptious chocolate. 2. In saucepan add the golden syrup, chocolate, butter, cocoa powder and allow to warm up till chocolate melts. Mix thoroughly. Do not over heat. 3. Pour the chocolate mixture over the cereal and nuts and combine so that everything is coated in chocolate mixture. Scoop spoonfuls of the mixture into cake cases and leave to set. Alternately press into a greased tray and leave to set, once set cut into squares. Tagged Cereal, chocolate, dessert, Golden syrup. Bookmark the permalink.